Such a deal for spring! 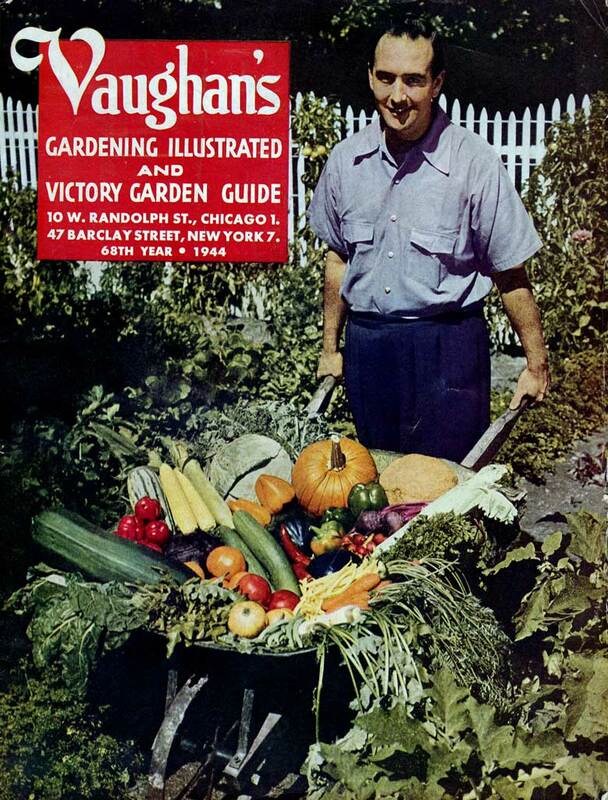 Eleven healthy vegetable seed packets and a basic growing guide for only a buck. 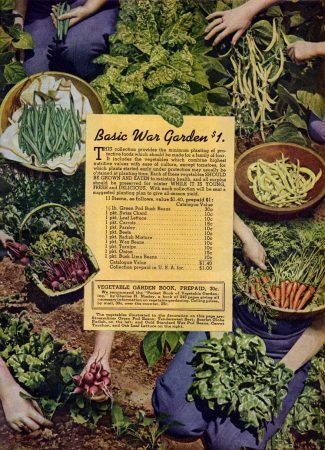 That was the offer in 1944, when the USA was going all-out to win the war and planting your own Victory Garden was the thing to do. Popeye could convince kids to each spinach, but how much success Mom and Dad have getting the little ones to eat beets, radishes, turnips and lima beans, one wonders? Still, good healthy food grown locally would free up farmers to feed the troops, and might even save you some money. 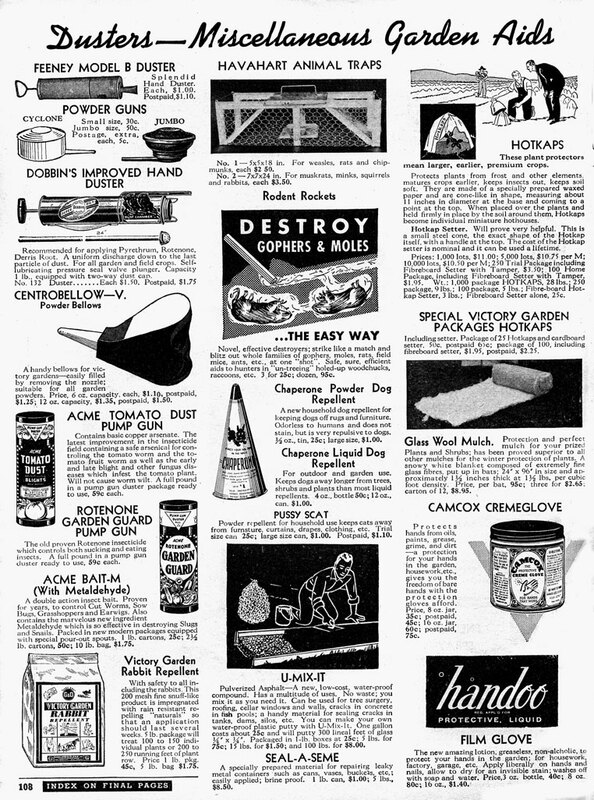 To help you along, the back pages of the Vaughan’s offered all sorts of garden aids, some which seem reasonable to us today, others maybe not so much. “Glass Wool Mulch” would seem to be fiberglas, which seems a bit suspect. Rotenone — which I always thought was the product of some Hollywood screenwriter’s imagination because it was used to stun “The Creature from the black Lagoon” — turns out to be a real pesticide…and organic, at that! Still, I might dip my hands in “Cremeglove” or “Handoo” before applying it.